Volunteering is a fantastic way of meeting new people, having a good time, feeling valued, getting active and learning new skills. 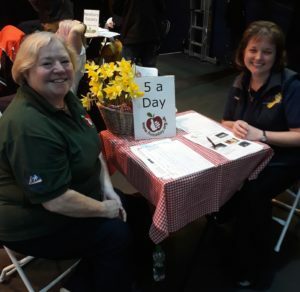 We were thrilled to meet so many people at V365 the volunteering open day organised by the Volunteer Centre in West Berkshire on 12 January. 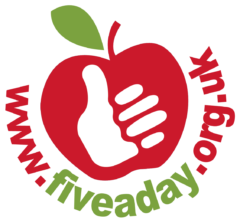 We’re contacting everyone and look forward to meeting you at Five a Day during the spring. helping in the garden – you can be new to gardening or have some experience – all welcome! become a fundraiser for us. You (and your friends)! might want to put on a cake sale, run a marathon, shave your hair! We can help with all the practicalities such as sponsorship forms, taking donations online etc. assist with our educational work in gardening, conservation and art – no teaching experience is required, just a willingness to get involved and a great sense of humor! marketing and admin volunteers are always very welcome! ‘It’s an ideal way to spend a few hours with lovely like minded people in wonderful surroundings, a great tonic, everyone should try it,. Val, gardening volunteer. ‘I am so proud to have been volunteering for a gardening project that brings the community together to not only give their precious time and knowledge but to learn new skills and have fun at the same time. ‘It has been a privilege to be a part of it for the last six years.’ Wendy, committee member. ‘Six years ago I joined a group of volunteers at the 5aday garden. That group is still meeting each Monday. Not only do we enjoy gardening but each other`s company. We have a chatty tea break,we meet up for xmas dinner. We also seem to get sunshine most of the time! I recommend it!’ Lin, gardening volunteer. You might have ideas about how you would like to volunteer your time. Volunteers are welcomed and supported from their first session! 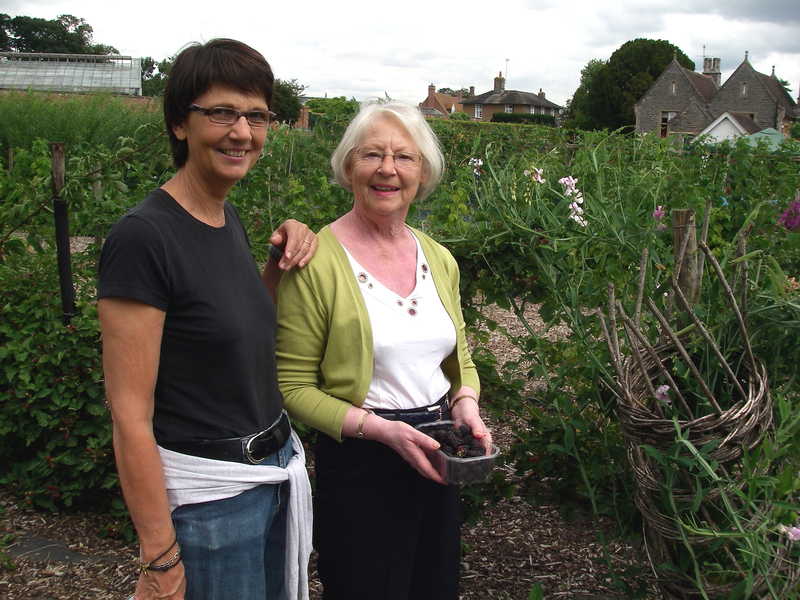 We often ‘buddy up’ new gardening volunteers with the more experienced to show you the ropes and help you settle in. For volunteers interested in accessing training, we can often access funding opportunities in areas such as first aid, horticulture, conservation and teaching. Do get in touch! Our volunteers are a mix of ages, young and more senior and from a variety of backgrounds. We’re a sociable bunch here at Five A Day and we hold regular social gatherings for our volunteers. Gardening volunteers are welcome on Mondays, Wednesdays, and Fridays. Times are very flexible. Full training is provided. We are also very keen to take on volunteers with learning disabilities, however please bear in mind that we would expect the volunteer to be supported by their carer. Prospective teaching volunteers are required every week day from March through to October and are a wonderful compliment to our teaching team, helping the tutors with groups such as older people or adults with learning disabilities. The volunteers may offer one to one support to help a learner complete a gardening task such as seed sowing or assist with art activities during our craft sessions. We also harvest produce to eat or make a simple soup during some of our teaching sessions, so prospective volunteers with an interest in cooking are very welcome! All prospective teaching volunteers need to complete a Disclosure and Barring (DBS) application form, which we pay for. Email us using the contact form. 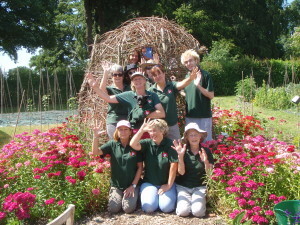 We will arrange a meeting and the opportunity for you to see the garden and meet our volunteers. We look forward to hearing from you soon!